Looking for better health? Do you want to have more energy? What to keep from falling prey to the common flu this year? Each year millions of people set out to improve their health in a big way. Most end up giving up pretty quickly. The trick to improving your health is to start out slowly with simple easy to maintain changes. 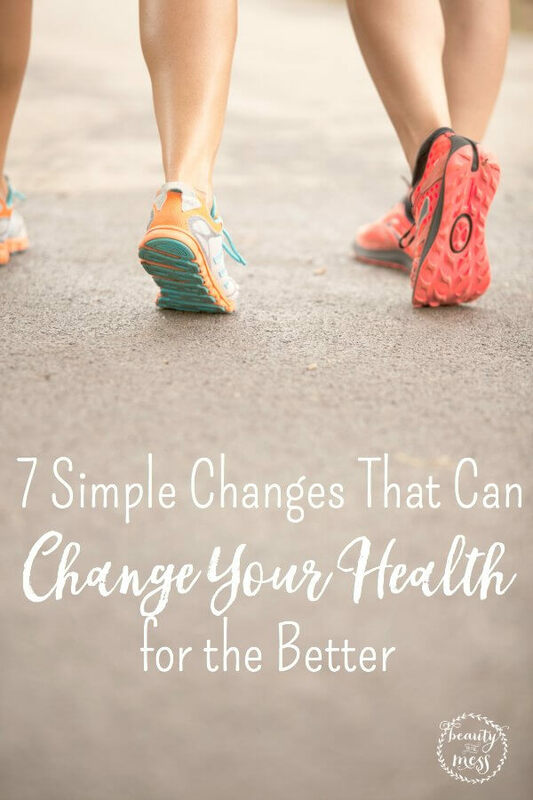 When making these changes towards better health, it’s better to start out slow. Pick something you know you can do and stick to it for a few weeks. Once you have that mastered, add another change. As time goes on, each small change will add up and your health will have improved dramatically. 1. 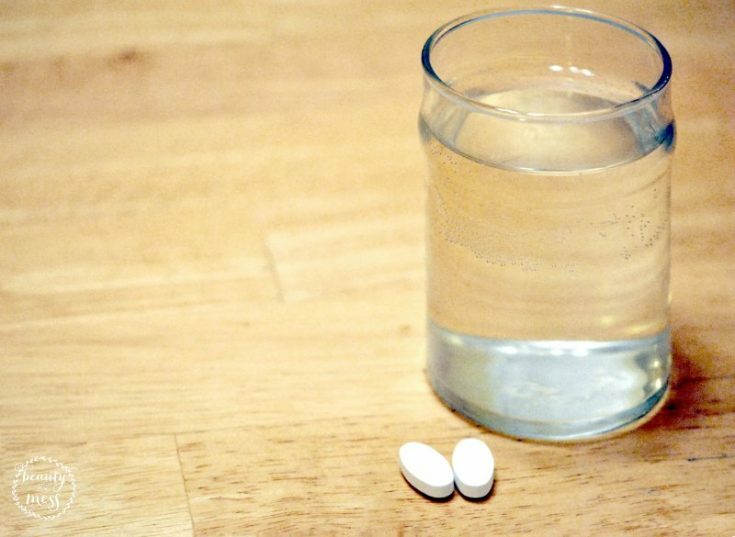 Start taking a high-quality vitamin. This one is pretty simple. Set an alarm on your phone to remind you each day to take your vitamin. When you nourish your body it makes a world of a difference. 2. Drink more water. Buy a filtered water bottle and fill it up a couple times a day. Making an effort to drink at least two 32 ounce bottles of water a day will greatly improve your health. 3. Work a little extra sleep into your day. Start going to bed a bit earlier. Work your way to between 7 and 8 hours of sleep a night to greatly improve your health. If you have trouble sleeping, try getting yourself into a relaxing routine or diffusing lavender in your room at night. 4. 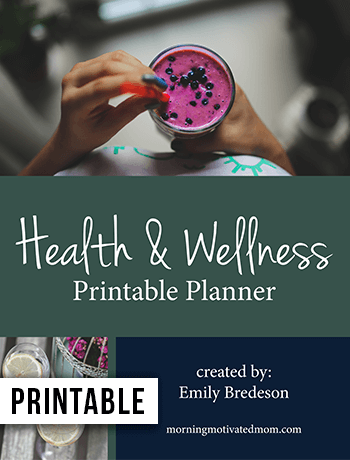 Get a Health & Wellness Planner like the one by Emily Bredeson at Morning Motivated Mom to help you keep your health on track. A planner is a great way to keep track of progress and plan your future changes. 5. Get a bit of exercise every day. While most people that wish to improve their heath jump into a fitness routine that they just can not keep up with. Start out slow with a simple routine like going for a walk after dinner. Slowly to more intense workouts so you are more likely to stick to them. 6. Cut back on processed foods. Most of us have a habit of eating processed food to save time in our busy days. By slowly cutting back you will eventually have cut them entirely without the frustration of jumping in head first and finding yourself at a loss in how to satisfy cravings. 7. Find time for yourself. Often we are overworked, over stressed, and overwhelmed. A lot of these feelings can be fixed by taking some time for yourself. Find something you love that helps you feel better. What are some simple changes that you made that had the biggest impact?